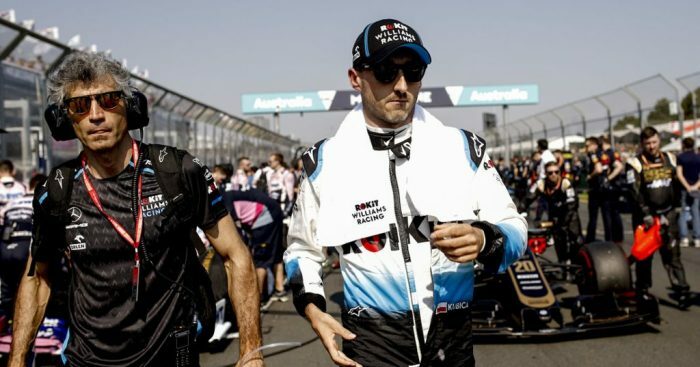 The Polish driver has been struggling with his FW42’s handling since the season began – he would strike a kerb in first practice for the Australian GP and damage the floor. To make matters worse, Kubica’s repaired car continued to display different aero data to that of his team-mate George Russell, even though both drivers ran the same set-up in Bahrain. Kubica fell away drastically during his second stint at Sakhir as his tyres degraded, having got ahead of Russell in the early stages. The 34-year-old would end the race two laps down in P16 and struggles to see much improvement in the near future. “When there was more driver-ability I think I did well,” he told Motorsport.com. “I’ve been eight years no driving, so I think I took good decisions. Williams are still short of spare parts after the late release of the FW42 which impacted upon their testing schedule. Kubica believes this also is a limitation to the progress the team can make. “You can do whatever you want – you can put rear tyres on the front! It will be dominated by the characteristics we are having,” added Kubica. “I can only try to help it with the tools – I tried to do everything with the diff settings, with the settings you have on the steering wheel – but it’s so big it’s impossible to turn it around. Russell, while also well aware of the issues Williams are faced with, believes he had the pace in Bahrain to compete and has urged the team to keep working so they can capitalise on mistakes. “We were almost fighting in… I think I could have held [Lance] Stroll off, Stroll overtook me with the [Sebastian] Vettel incident,” he told Motorsport Week. “I went to the outside of Vettel and Stroll overtook me on the inside. Without that, I think I could have held Stroll off. He was definitely quicker but we had enough pace to hold him off. “I think [Carlos] Sainz was struggling to get past me for five or six laps before and he did an additional pit stop which maybe in hindsight was better.